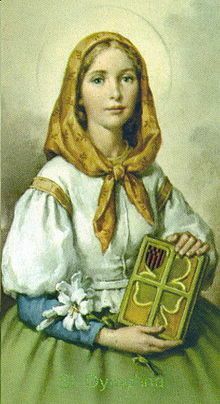 Lord, our God, you graciously chose St. Dymphna as patroness of those afflicted with mental and nervous disorders. She is an inspiration and a symbol of charity to the thousands who ask her intercession. Please grant, Lord, through the prayers of this pure youthful martyr, relief and consolation to all suffering such trials, and especially those for whom we pray. We ask this through Christ our Lord, who suffered such agony in the Garden of Gethsemane for our sins. Amen.